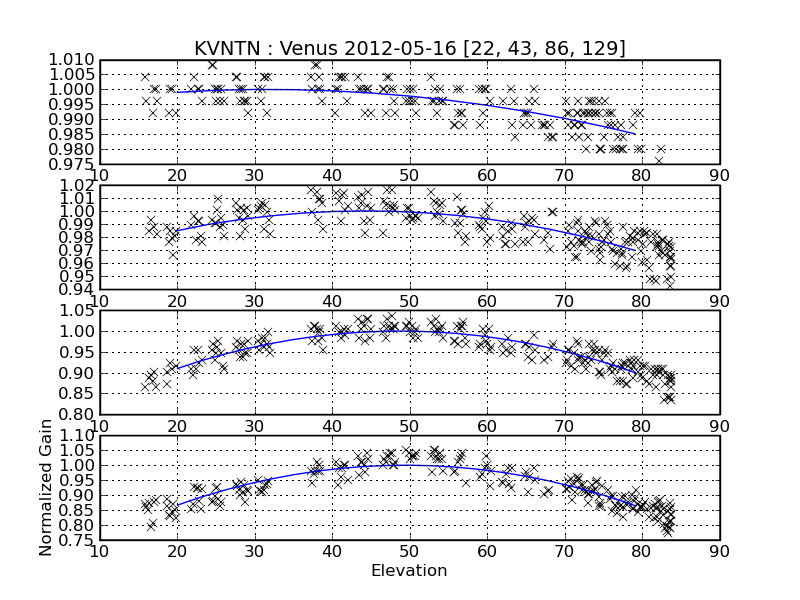 The main reflector panels of KVN antennas were installed to give the maximum gain at the elevation angle of 48deg. The sagging of subreflector and the deformation of main reflector by gravity with elevation results in degradation of antenna aperture efficiency with elevation. 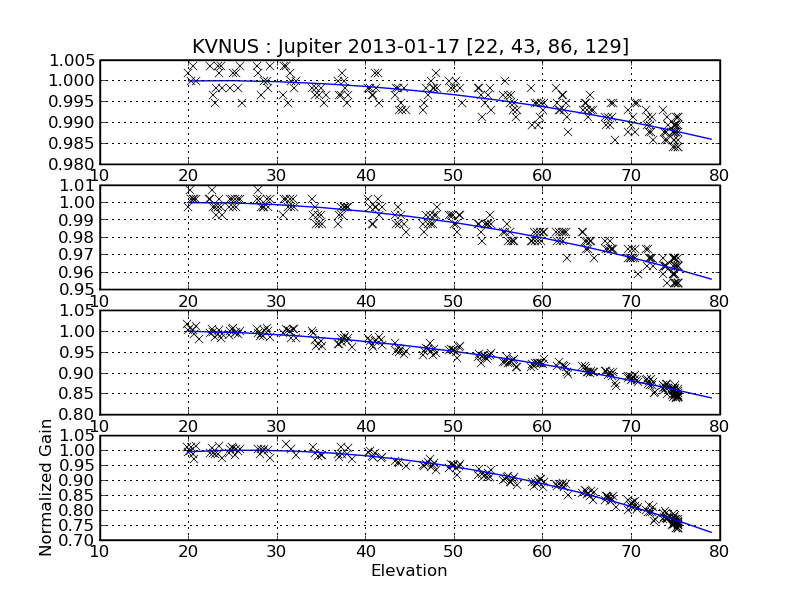 In order to compensate this effect, KVN antenna use a hexapod to adjust subreflector position. Although this hexapod correction reduces significantly the dependence of aperture efficiency with elevation, the degradation still appears evidently at higher frequency. 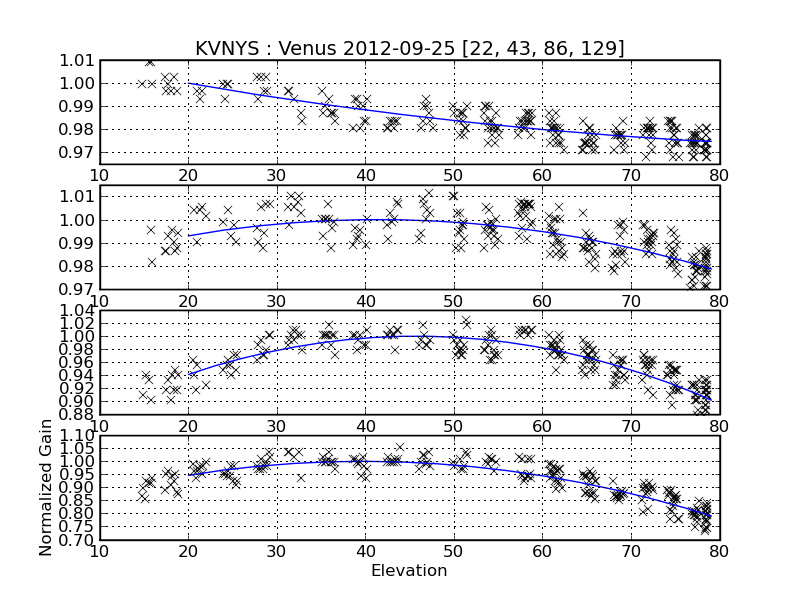 Following figures show the elevation dependence of antenna aperture efficiency of the KVN 21-m radio telescopes measured by observing Venus or Jupiter using Cross Scan observations. By fitting a second order polynomial to the data and normalizing the fitted function with its maximum, we derived a normalized gain curve which has the following form: G_norm = A0*EL^2 + A1*EL + A2, where EL is the elevation in degree. The fitted parameters are summarized in following table.